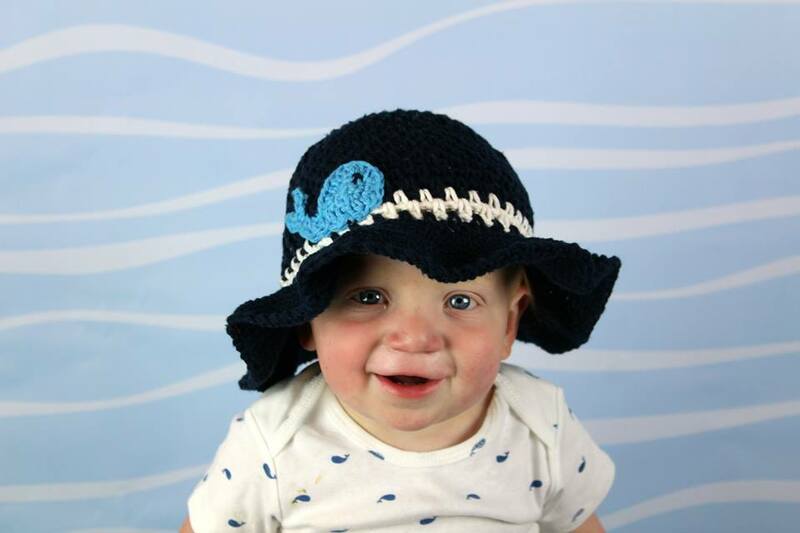 I just recently released the Beach Day Sunhat. 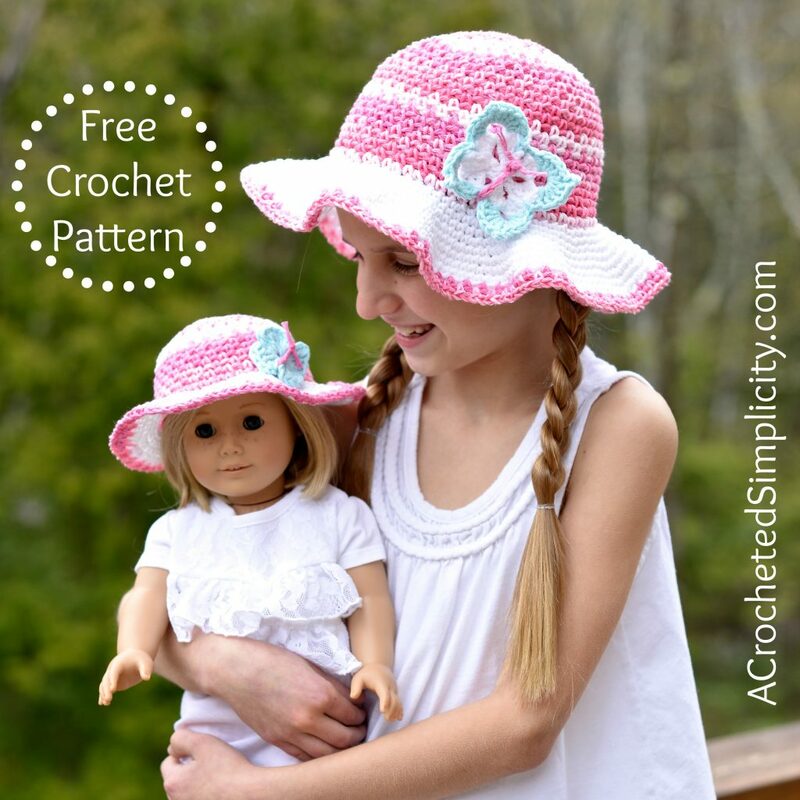 This sunhat uses the classic linen stitch pattern for the main part of the hat. During testing several testers asked if I could design a kids version using a worsted weight cotton. So when I saw the Lily Sugar n’ Cream, Pinky Stripes, self-striping yarn, I knew it would be the perfect yarn for this stitch pattern and design! 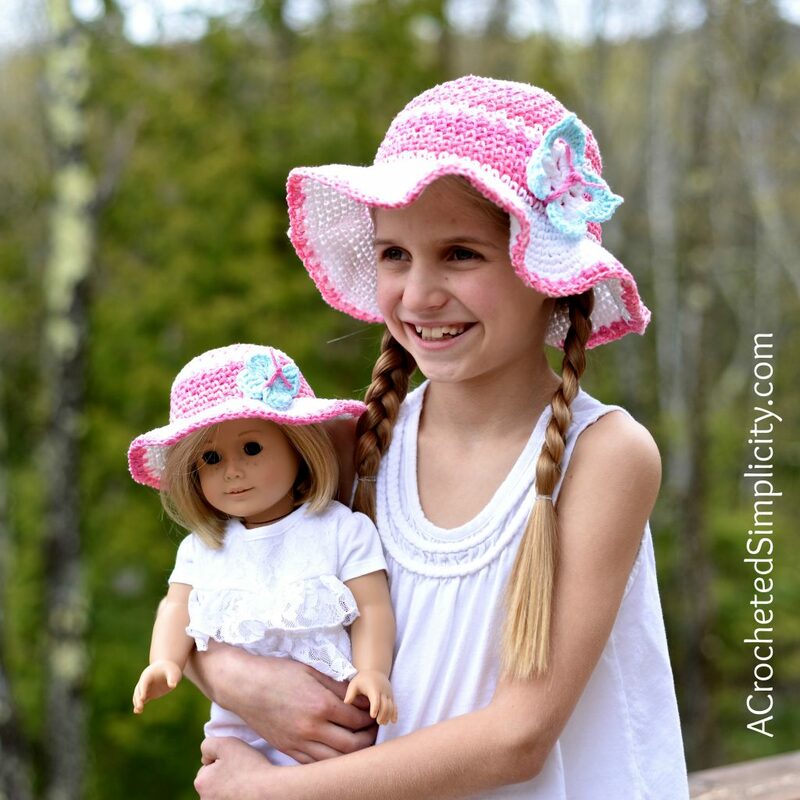 Claire needed a new sunhat for summer and she asked if I could make a matching one for her doll. This pattern includes 4 sizes: 18″ Doll, Baby, Toddler & Child. This design is also great for boys. Scroll down to see tester photos! See diameter measurements in pattern. Yarn Notes: Lily Sugar n’ Cream Cotton Yarn was used for the sample on page 1 (2.5oz / 120 yards / 109 meters / 100% cotton). This hat is worked from the crown down in continuous rounds. The only round you will join w/ a sl st will be your very last round. Do not fasten off. Switch to CC and continue on to Brim. Doll: Switch to MC and continue below with Brim Edging. Baby: Switch to MC and continue below with Brim Edging. Toddler: Switch to MC and continue below with Brim Edging. Child: Switch to MC and continue below with Brim Edging. Note: Brim edging adds approximately 3/8″ to the brim of the sunhat. Fasten off. Weave in all ends. If desired, continue to the applique of your choice. Click HERE for the Butterfly Appliques, OR Click HERE for the Fun in the Sun Appliques (starfish, whale, flip flops, sail boat). Click the photo above to be taken to the Free Butterfly Applique Crochet Patterns! 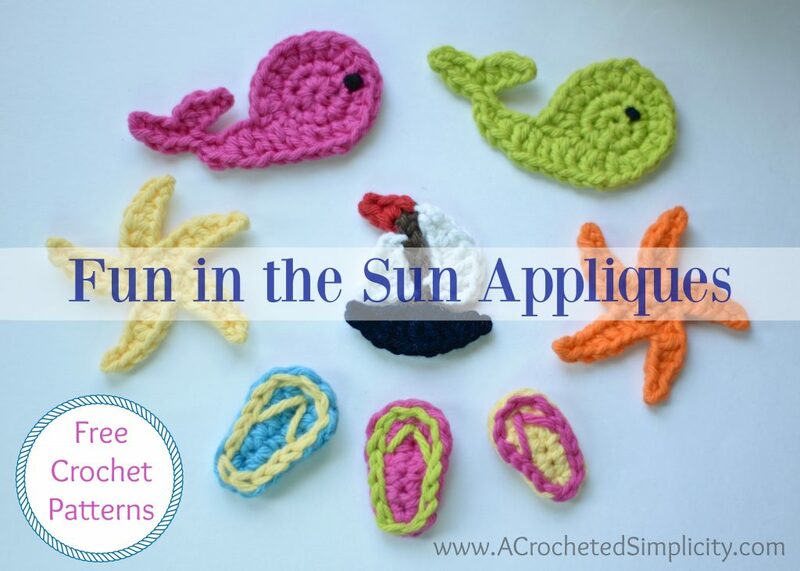 Click the photo above to be taken to the Free Crochet Patterns for my Fun in the Sun Appliques! This is adorable! Can’t wait to try my hand at it. Bummer! too too cute.This is the most awesome pattern I have ever came across. I am new to knitting/crocheting and have been taking online classes and so far i have created many small items and this is a great idea for my weekend project to try my hands on..Thanks for the inspiration. I will be subscribing to your blog for more posts like this.. I am totally confused beginning with row 5. Do I do all the stitches kn the brackets 3 x and then 3 more times or do I do just the last in parentheses 3x and then all in the brackets 3 times? Can you please clarify? Hi Sue – Everything within the brackets is one full repeat, so everything between [ and ] = total of 10 sts including ch-1s… is one full repeat. You work that for 3 times and then continue on.